These are a wonderful accent to any meal! Almond flour tortillas are so tasty that your family won't even care that they aren't their normal wheat or corn tortillas. 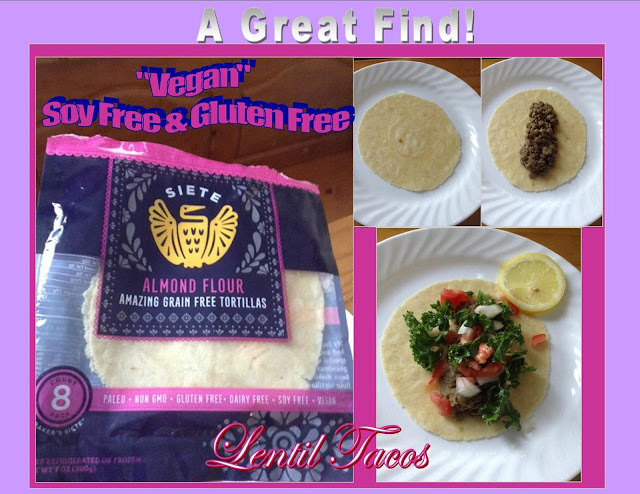 When made as lentils taco, this give a double serving of meat-free protein.